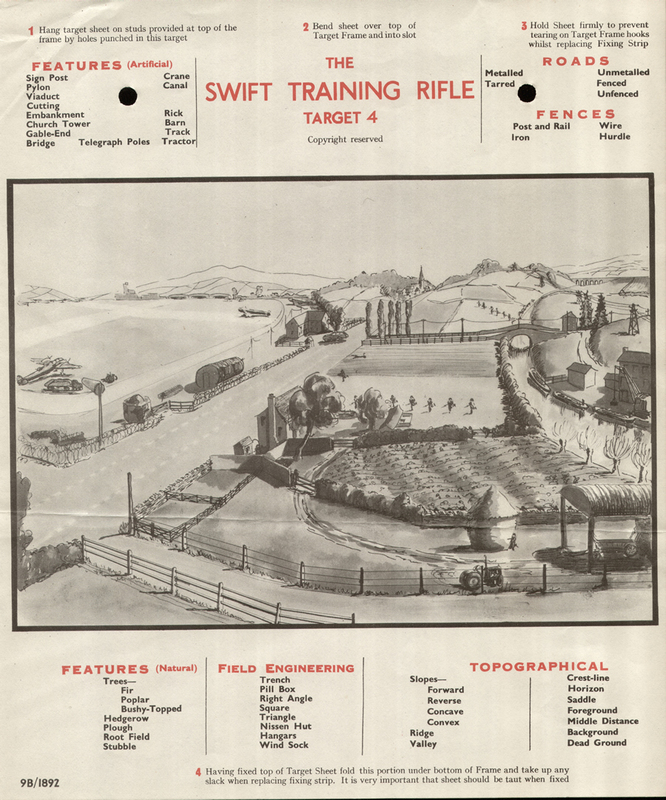 There were four main TARGETS initially used, all of which are shown here. 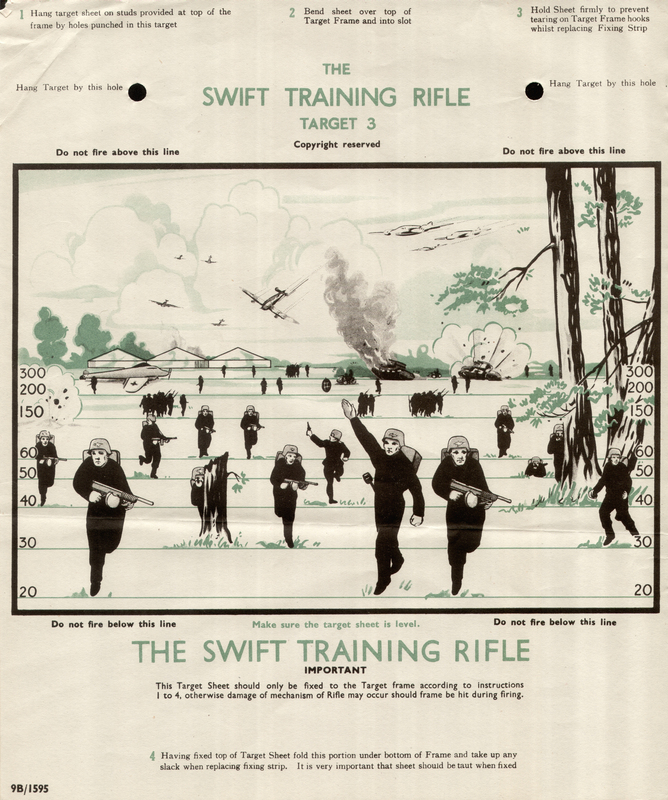 A fifth Swift target has recently come to light. 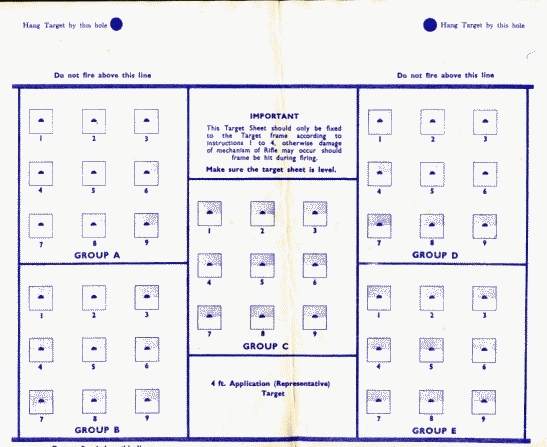 It is effectively the same as target No.1 in design, but is printed, unusually for a target of any kind, in a bright blue. 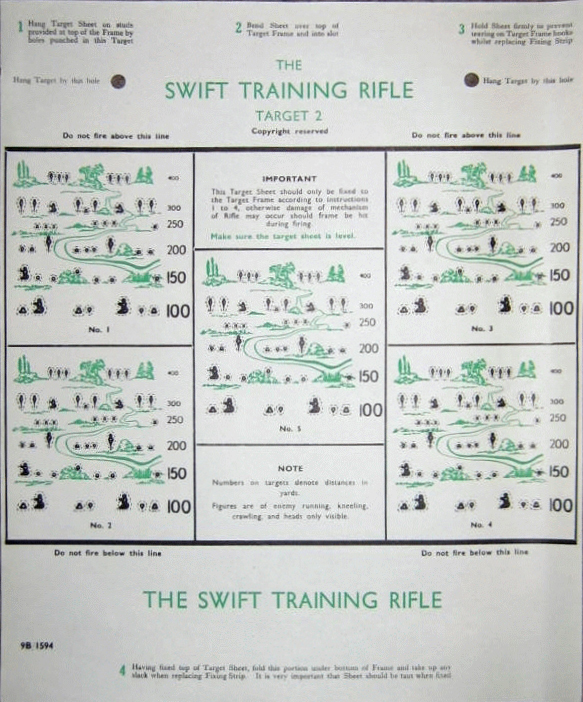 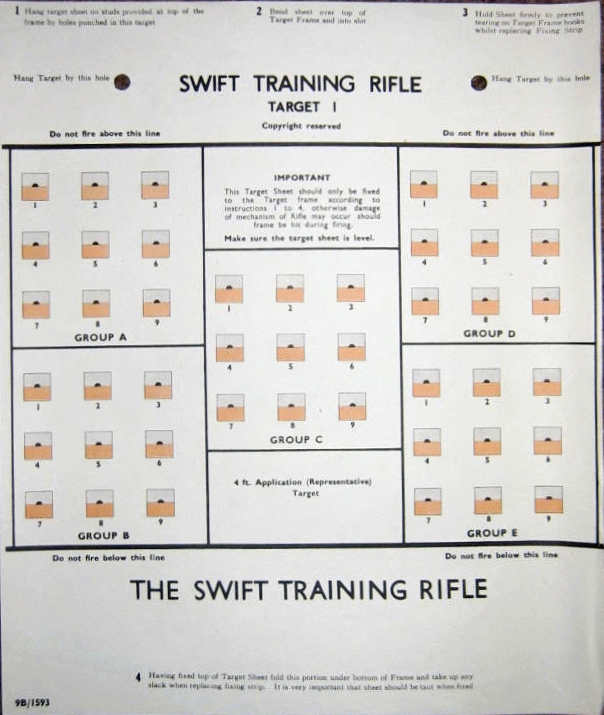 Whether this was an economy version of the target is not certain, but this is a distinct possibilty, because even two-coloured printing was expensive at the best of times, and deemed positively wasteful in wartime.